First Time At The ‘Garden? 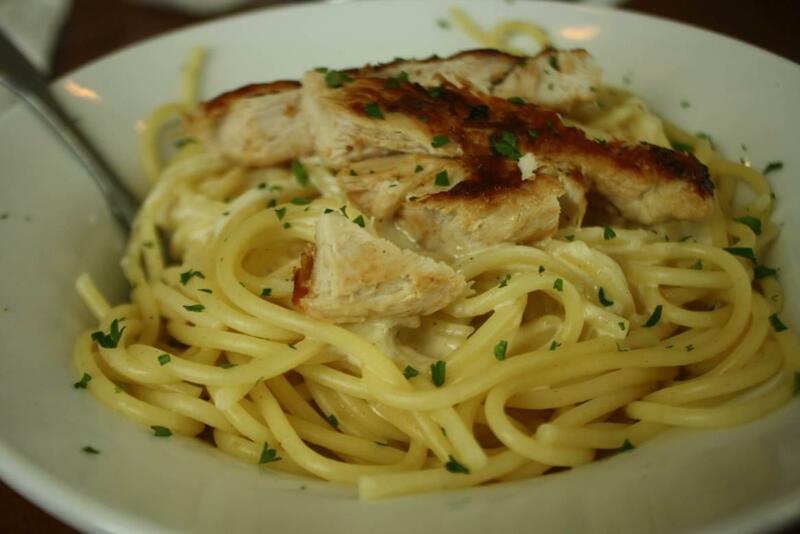 Spaghetti and alfredo sauce is and always will be an artless combination, something a rookie pasta eater might ignorantly order at random off the main menu. When it arrives, he has to pretend that this is what he wanted, and eat the whole thing to save face. It’s really quite sad. I had a good seven minute conversation with my waitress as to how this was not the case with me, that I am actually a very important food blogger. She seemed convinced, but would not inform the chef as I instructed.